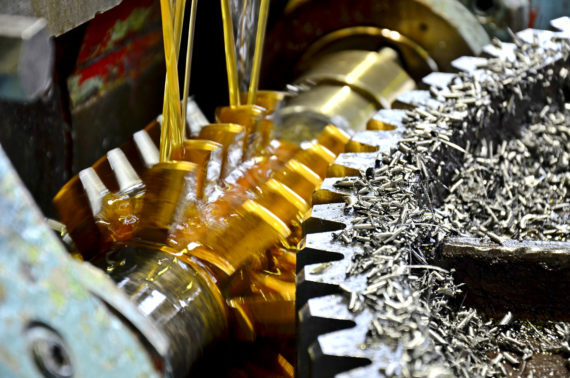 Oils and coolant liquids are widely used for various types of metal working applications. While these substances are harmless in liquid form, they can be toxic and hazardous when turned into smoke and mists. Long exposure to these contaminants could result in serious health problems for employees. The risk of fire makes oil mist capturing essential for industrial safety. Oil fumes condense on the surfaces of the equipment and significantly increase the risk of smoldering or ignition. Extraction and filtration of oil mist is one of the most difficult types of pollution control due to their stickiness and chemical properties. SovPlym self-cleaning filter elements offer a long lifetime, increasing productivity and reducing maintenance costs. Bringing significant cost savings and reducing your environmental footprint. SovPlym oil mist solutions facilitate the collection of condensed oil and coolants for re-use. Our product range consists of small, compact filters for single CNC machines to large modular machines for oil mist extraction from multiple sources. SovPlym filtration solutions are suitable for a wide range of applications, temperature ranges and working conditions. SovPlym oil mist filters are effective and reliable units suitable for virtually all kinds of coolants and oil mists. Our filter units include both mechanical and electrostatic types. Wall hanging electrostatic filter for oil smoke. For high viscosity oil-based coolants with an oil concentration of 5% and more. Requires an appropriate fan.